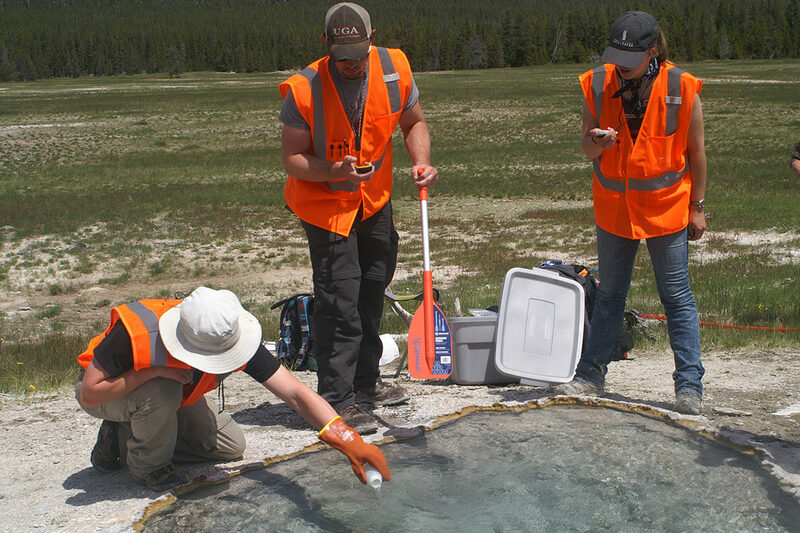 PULLMAN, Wash. – Researchers at Washington State University and the University of Idaho have found a new way to estimate how fast magma is recharging beneath the Yellowstone supervolcano. Some 640,000 years have passed since the volcano’s last major eruption. But it can still be “super,” having produced one of the largest known blasts on Earth and spewing more than 2,000 times as much ash as Mount St. Helens did in 1980. The lead author of the paper is WSU graduate student Nick McMillan, who worked under Larson’s supervision. Other researchers were WSU graduate student Joe Mulvaney-Norris, University of Idaho geologist Jerry Fairley, and Cary Lindsey, a UI graduate research assistant.